Women who frequently dye their hair and use hair strengthener need to use special hydrating products. 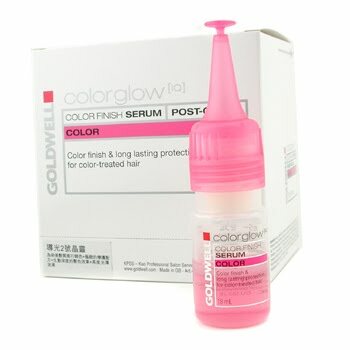 Color Glow IQ Color Finish Serum by Goldwell provides color and thermal protection for stressed hair. It protects hair from free radicals, sunrays, and heating from hair dryer or hair strengthener. The product is packed in 12 0.6oz ampoules.